Fig. 1. 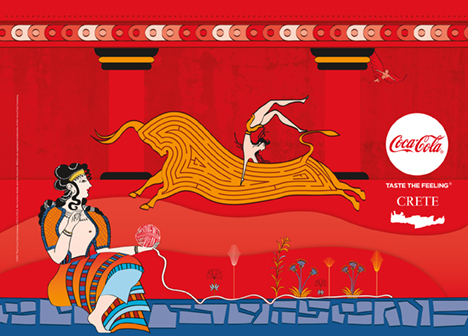 Commercial poster for Coca-Cola in Crete in summer 2017, showing various themes inspired by Cretan, especially Knossian, mythology and art; the design of the Taureador Fresco from the palace of Knossos (Evans 1930, fig. 144) is transformed to render a labyrinth on the body of the bull (© 2017 The Coca-Cola Company. All rights reserved). Fig. 2. 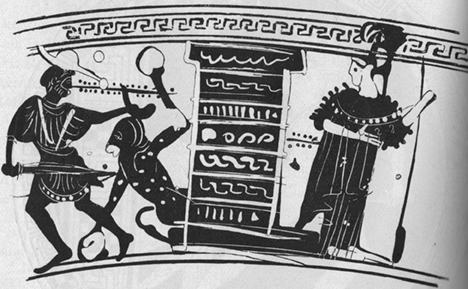 Early fifth-century Attic black-figure lekythos, attributed to the Beldam Painter, showing the Minotaur next to a structure. Athens, National Museum, inv. no. 1061 (ABL, no. 268.54; BAPD, no. 352150) (Cook 1914, 474). Fig. 3. 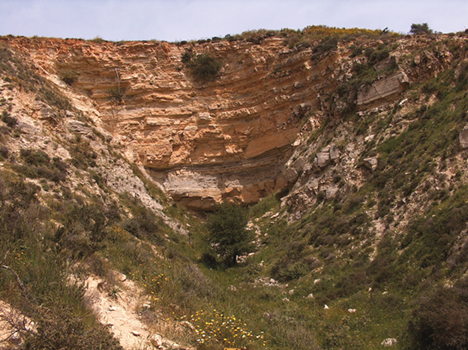 Crater created by the explosion detonated by the Nazis inside the Ampelouzos cave (Xanthopoulos 2008, 33; courtesy A. Xanthopoulos).